Hiring? Toptal handpicks top Sketch experts to suit your needs. Let’s face it. With every large design project comes great responsibility to try and understand what each layer in a large Sketch file does. Browsing through layers to understand their function is not exactly the most comfortable thing to do even if good naming conventions were assigned to each layer. We designers are visual creatures and we prefer not to scroll through an endless wall of copy to make sense of our designs. Wouldn’t it be nice to view all layers in a visual way? Today, I will give you a super simple tip that will save you time and will make your Sketch files more entertaining. Taking a look at the image below, do you see how emojis give clarity to all the layers? With one quick glance, you know what each layer does. The possibilities are endless on how creative you could get with your layers and some emojis. While editing a layer name, press CTRL + CMD + SPACEBAR and the emoji window will popup on your screen. 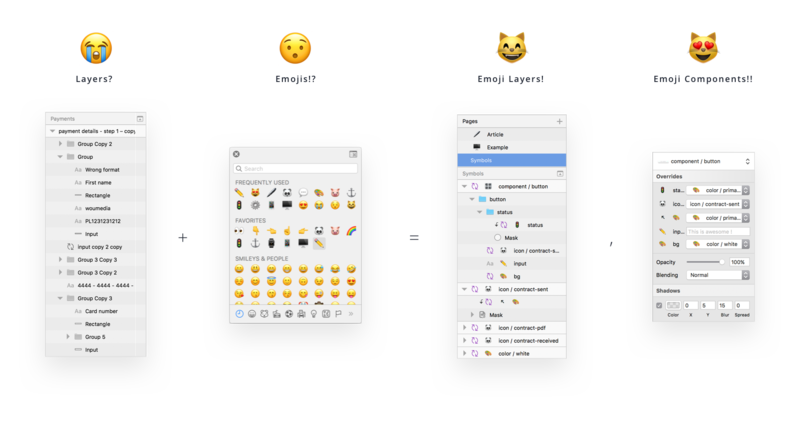 Then, it’s up to your imagination on how you want to name your layers with emojis. 🎨 palette emoji for layer masks. 🐼 panda to all my icons (it used to be a 🐷 pig, but pandas are cuter). Input fields – marked with a ✏️ pencil. And 🖥 desktop and 📱 mobile emojis for different screen sizes. 🚦 street lights for different button states. Gear ⚙️ for any adjustment layers. 👉 index finger to mark major groups. Finally, facepalm 🤦‍ just before my boss’s feedback. I’m sure you will find lots of other creative ways to name your layers with emojis. My goal is just to give you a little spark ✨ of inspiration. You could also use Emojis to name symbols. Feel free to download this Sketch file that I’ve created for you while writing this article. Nice idea, but I´m a bit concerned when it comes to handover to devs and you have all these emojis in your layer names. Maybe for symbol overrides it could work. Provided they are big enough. I can't make out what half of your examples are. I never handover Sketch source files. I use Zeplin instead. 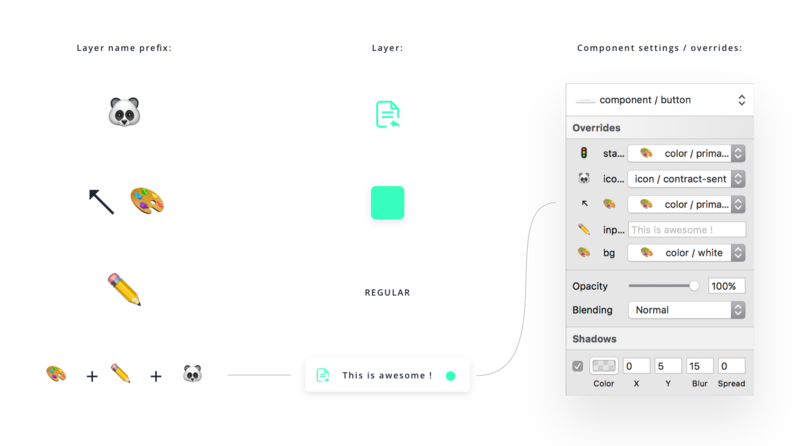 And Zeplin takes the layer names from Sketch. So the problem still remains the same. Wojciech is a product designer with several years of professional experience in the design field. He's educated as an architect-engineer. Wojciech is responsible and has worked on the entire cycle of web product design from the information architecture to the user interface all the while keeping mindful of the business goals.